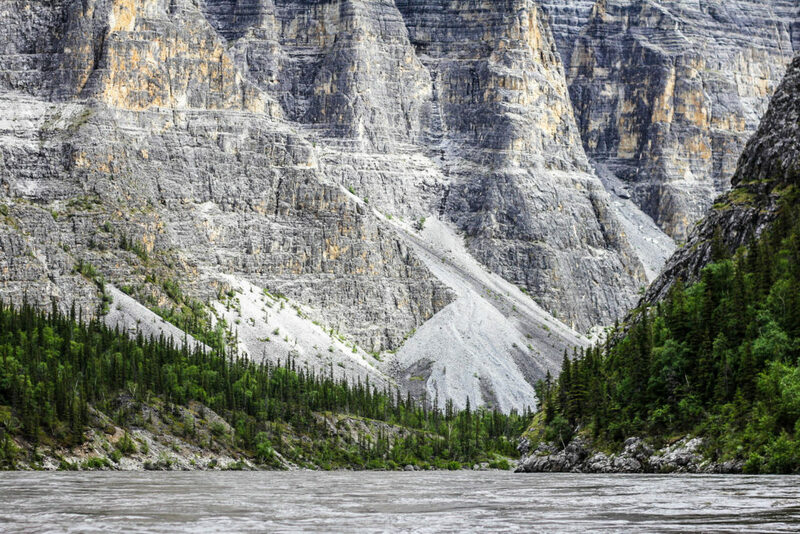 Have you ever wondered how the Nahanni's canyons came to be? Learn about one of the world's most remarkable geological features! Standing at the edge of Nailicho (Virginia Falls) on the South Nahanni River it is easy to understand the formation of Fourth Canyon and its colourful walls that line the river below the Falls. 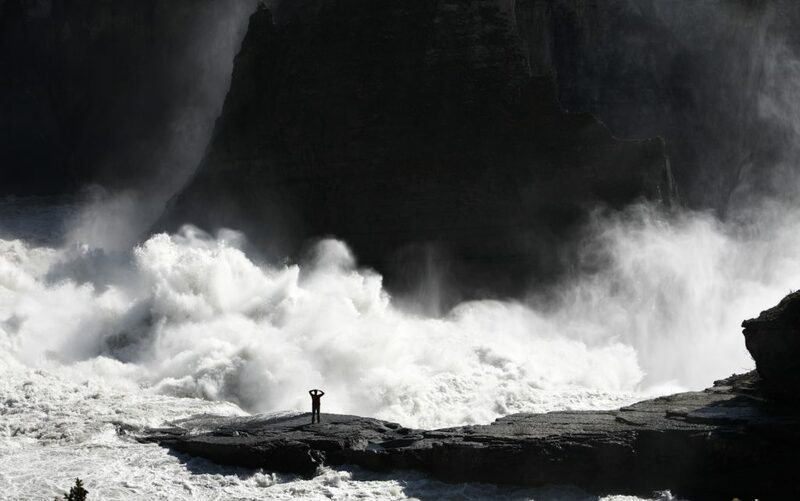 The power of the Nahanni is immediately evident amongst the spray and towering rock formations and it is hard to believe that the precipice does not crumble faster. At the beginning of our journey below the falls we travel through cataracts carved into the vibrant limestone. This six kilometers (4 miles) of canyon was carved as the Falls worked their way upstream. This process of erosion is seen in many river canyons. At 150 meters (450 feet) deep, Fourth Canyon is especially exceptional due to the painted look of its rock walls. 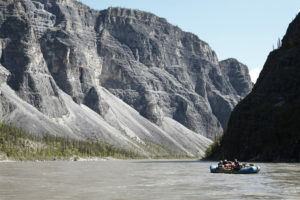 Downstream, the Nahanni’s Canyons present a geological marvel for the Nahanni is an antecedent river. 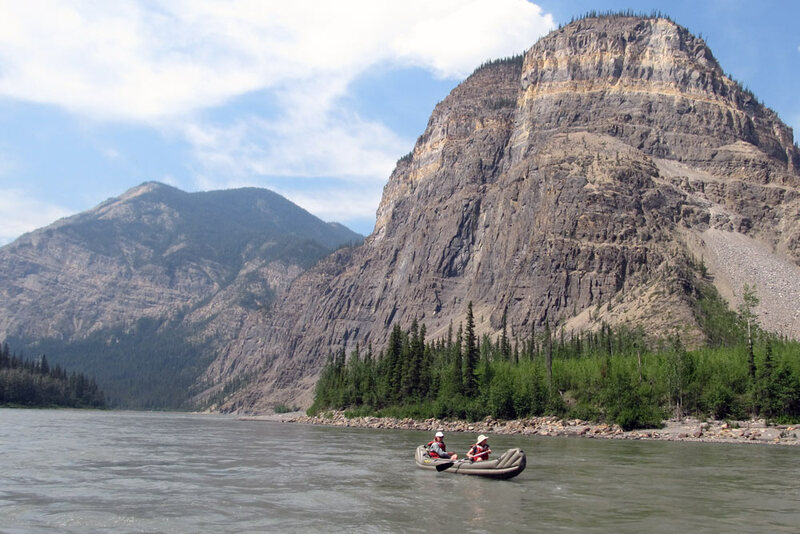 The course that the Nahanni follows was set out over 200 million years ago. As it flowed across the region’s limestones, sandstones and shales the rocks slowly began to lift up. This lifting process was matched by the rate of erosion by the river creating the canyons as we know them. 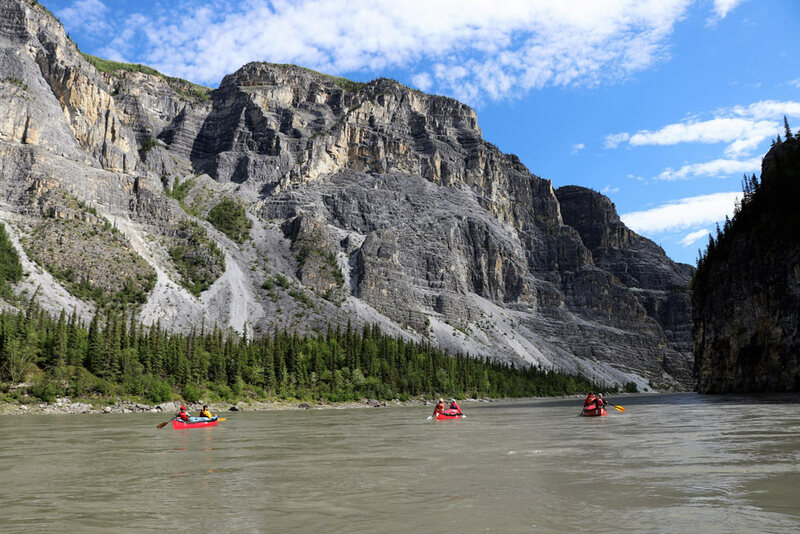 It is incredible to have such towering canyons with such friendly paddling, part of what makes the Nahanni incredible for canoeing. This whole section of the river escaped the grinding effect of glaciation through the past ice ages allowing the fluidity of water and wind to work upon the delicate stone walls. 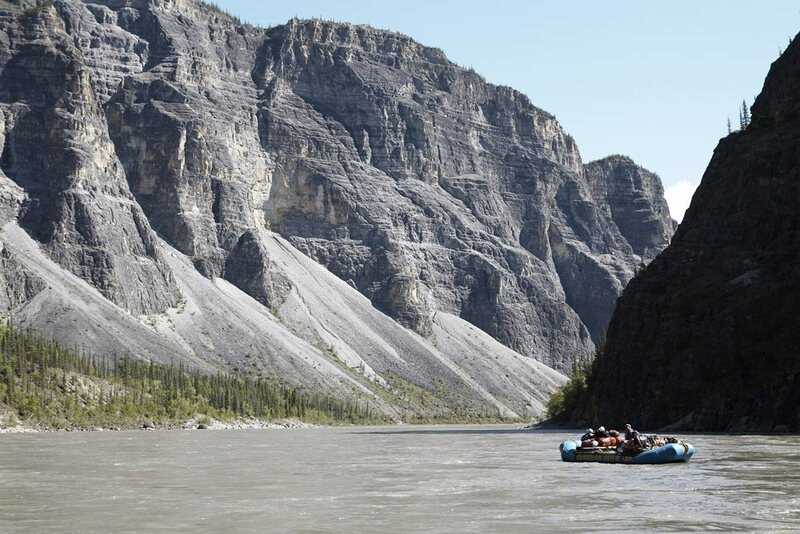 As we travel through Third, Second and First Canyons see first hand the variety of rock types on the Nahanni and the resultant diversity of landscapes. In Third Canyon, which is comprised of soft limestone, slate and sandstone we see a broader v-shaped valley than any other canyon. Over 500 meters high in places, this colluvial valley has an incredible constriction at “The Gate,” the site of the famous Pulpit Rock. This is the first example paddlers see of the unique geological phenomena of the “cut-off meander.” If you can envision a classic ox-bow on the prairies the cutoff meander looks the same when viewed from above. At some point, the Nahanni found a shortcut through the Gate. Aided by the freeze-thaw cycle this channel grew, likely topped by a natural bridge until eventually it collapsed leaving our present day vista. Second Canyon appears suddenly as we come around “Big Bend.” While it is not the longest, its walls are some of the tallest. 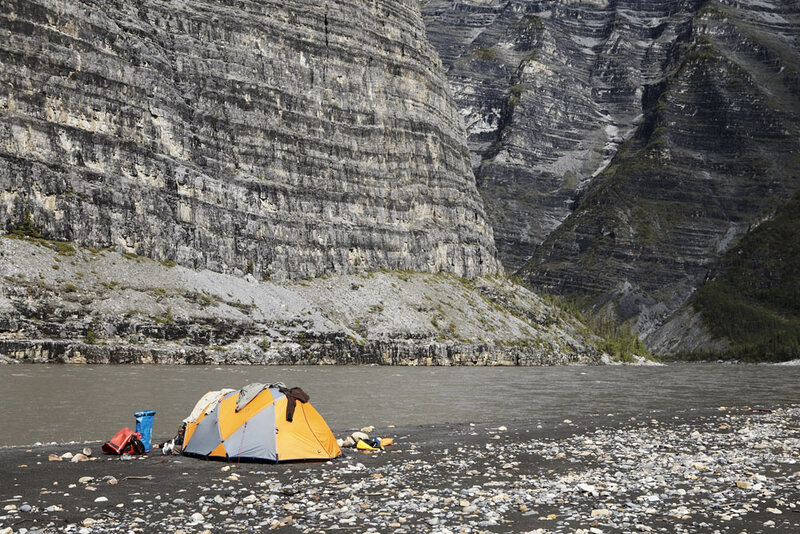 Home to one of the most challenging hikes in Nahanni National Park, the Scow Creek drainage tops out 1300 metres above the river. Rarely tackled, it provides incredible views of First and Second Canyons, the Tlogotcho Plateau, the Headless Range and Deadmen Valley. Second Canyon is also home to Dall Sheep and it is not an unusual sight to see small herds perched on riverside aeries. 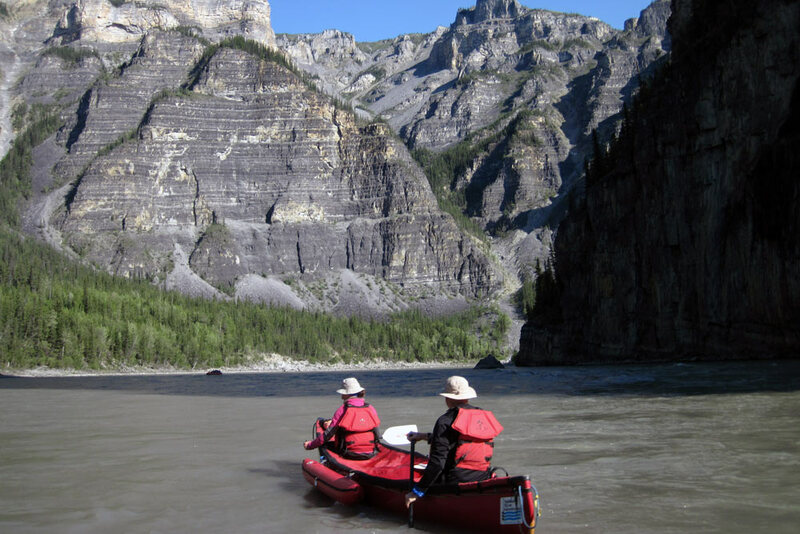 It is often said that the Nahanni saves the best for last and First Canyon is truly the jewel of the Canyon Kingdom. Comprised of the hard limestone variety dolomite, First Canyon’s walls are incredibly sheer. Seemingly rising straight out of the river, these walls tower above the river at heights of over 1000 meters. Guarded by sections of whitewater on both the upstream (George’s Riffle) and downstream end (Lafferty’s Riffle) a journey through First Canyon is and opportunity to contemplate our own insignificance. Following its ancient course, this geological marvel is not only an incredible example of antecedent rivers, with multiple cut-off meanders but provides an opportunity to view some of the incredible karst geology. Karst is a geography created by the dissolution of limestones by water. As rain falls to the earth it absorbs carbon dioxide from the atmosphere which creates a mild carbonic acid that actually dissolves the rock. 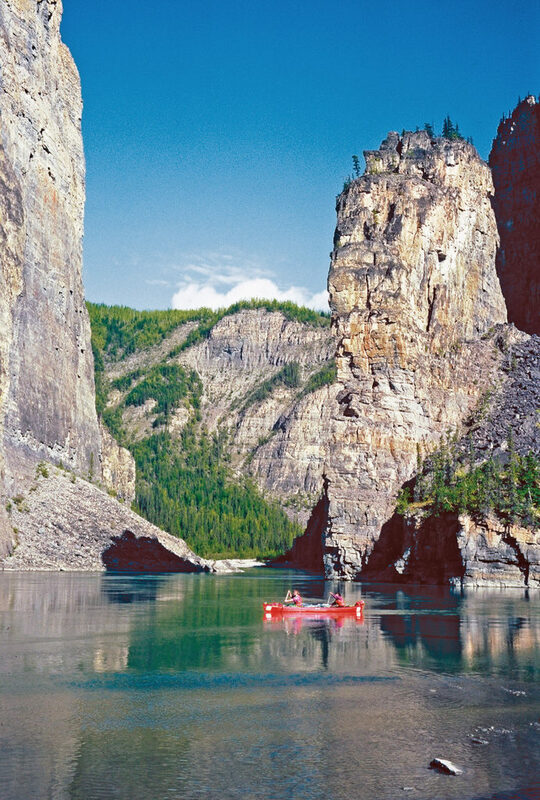 This chemical erosion has resulted in the incredible organic curves of the canyon’s walls, sink holes on the Nahanni and Ram plateaus, and of course the Nahanni’s famous cave systems. While entrance to the caves is restricted we are able to view the cave entrances from the river as we approach the end. No exploration of First Canyon is complete without taking in one of its side canyons. 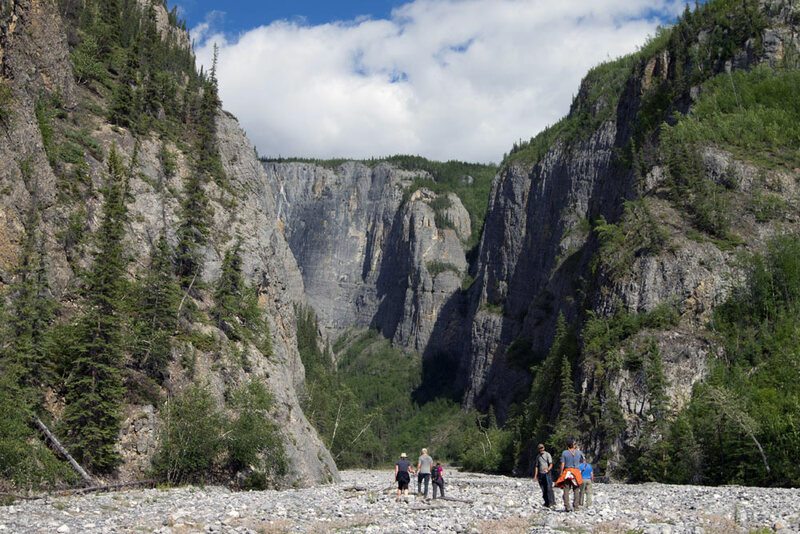 Dry Canyon and Lafferty’s Canyon are favourite hiking options offering access to two deep incisions into the Nahanni Plateau. Each step allows us to travel back in time with the geological history of the region laid out before us. It is not unusual to find fossil sea life resting next to a granite glacial erratic from peaks hundred of kilometers away. Of course the grey limestone soaks up the summer’s heat and we are often treated to a swim in the pools of water collected in the bedrock of the canyons. 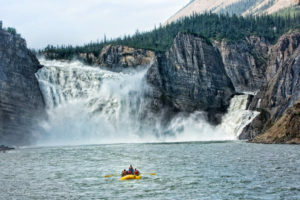 When the United Nations declared the Nahanni the first UNESCO World Heritage site the spotlight began to shine on this incredible part of the world. Forty years later its wonders remain intact. A place so vast that we uncover a new perspective on its beauty with each journey we lead. 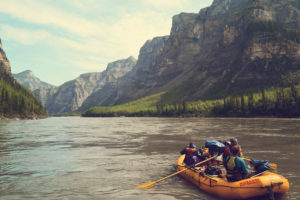 Whether it is the blush of wild flowers in a side canyon, a spray of ferns watered by Virginia Falls’ mist or watching a Dall Sheep ewe and lamb settle into the soft karst curve of First Canyon’s wall there is still much to discover and appreciate in the Nahanni’s Canyon Kingdom.